This newsletter is being sent to your because your email address was submitted for a subscription, presumably by you. If you feel you’re receiving this newsletter in error, just let us know and we’ll take you right off. Things have been relatively quiet this week in terms of Peanuts strip reprints. However, we have added some books about Peanuts that are available again. 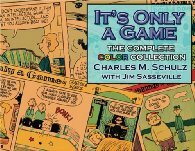 Also available again is a couple of Peanuts collectibles/price guides, so now we have two volumes apiece in the Peanuts Gang Collectibles and Snoopy Collectibles series by Jan Lindenberger and Cher Porges. Because we now have a half dozen different collectibles/price guides, I’ve now devoted an entire page of AAUGH.com to these. (It was the Books About Peanuts page; I’ve moved the other books that were on that page to the Schulz Illustrations page. I’ve also added a few more "Back Ordered" Peanuts Classics books to the list, with the reassurance from the publisher that they have been filling back orders: Thank Goodness for People There’s a Vulture Outside You’re Out of Your Mind, Charlie Brown! 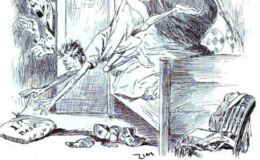 The books can all be found on the Classic Strip Reprints page of http://AAUGH.com — the Fawcett books are toward the bottom. The 50th Anniversary book PEANUTS: A GOLDEN CELEBRATION is spending another week on the best seller list, which means it’s half-price at least through Thursday. When Schulz died, there were some comments on the future of the animated Peanuts material. Some of the comments were dead-on (i.e., that they are working on some scenes for a tribute for the 50th anniversary, and that a direct-to-video release is in the works.) However, some other comments that were circulating — that Schulz wanted the animations to come to an end with him, and that there was only one further plot outline that he had approved — may (or may not) reflect just one person’s view of the situation. 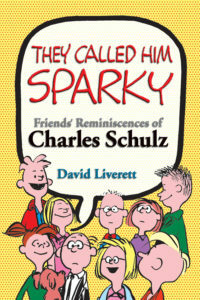 To go beyond what I’m saying would get into the realm of trading in rumor, but I just want people not to be surprised if further animated projects are announced, or to assume that any further projects must be against Sparky’s wishes. When I have more news, I’ll let you know. The direct-to-video piece, IT’S THE PIED PIPER, CHARLIE BROWN, will be released mid-September. I’ll be sure to announce when it’s available for pre-order. As I said last issue, while the Odd Peanuts Books feature has run its course for now, I am going to keep doing discussions of various Peanuts books for fellow collectors. One thing that makes the book interesting is its inconsistencies. Volume 1 (DOES DON’T EAT DESSERT) is 8 inches wide and about 5 high, printing two dailies or half a Sunday on each page. 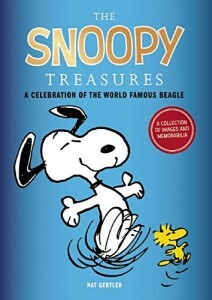 The title is on the front cover and spine; "Peanuts Collector Series #1" is on the back. #2, YOU’RE ON THE WRONG FOOT AGAIN, CHARLIE BROWN, is roughly the same format, only the spine has the "Peanuts Collector Series #2" identifier rather than the title. Volume 3 has the title (BY SUPPER POSSESSED) on the spine again. Volume 4’s spine has both the title (TALK IS CHEEP, CHARLIE BROWN) and the Peanuts Collector Series #4 identifier. With volume 5, the size changed to 10 inches by 7, with the title (IT DOESN’T TAKE MUCH TO ATTRACT A CROWD) on the spine. The "Peanuts Collector Series" identifier and number started appearing on the front cover as well with this book. Volume 6 had the title (IF BEAGLES COULD FLY) and "#6" on the spine. Volume 7 (DON’T BE SAD, FLYING ACE) was labeled similarly, but in a much larger font. Volume 8 looks very different. The size has zoomed out to 11 by 8.5 inches (which means that the Sunday pages, still split over two pages, are huge.) The garishly colored design of the early volumes has been dumped in favor of a more sedate design. The fonts for all the cover text have been changed, to something completely un-Peanutsy. The spine has the title and the number 8, but no # sign. If you had the other books in the series and were looking for this one in a used bookstore, you’d probably skip right by it. Why all the changes? Some of them just seem to be sloppiness, but the changing sizes and the eventual design changes suggest a line of books that wasn’t selling as well as had been hoped…. a suspicion which is reinforced by the relative rarity of these books on the used book market. In my experience, you’re almost as likely to find a British edition (published by Ravette, and with the last page of comics replaced by a page of ads for their other Peanuts books) as you are to find a U.S. version. Well, that was more than I expected to ramble on about that! Today, we start the second half of the fiftieth year of Peanuts. Pick up your favorite book and read a few strips!